Before knowing the ways of how to use Google Pixel 3 call screen, it is better for you to know something. It is about what the call screen is. Well, actually, the call screen is an application or service that can help you to know who is calling at that time. In addition, it is like a service of simple caller ID that can have an interaction with the caller. The first step that you have to do in using Google Pixel 3 call screen is tapping on the button of screen call. You can do it when you receive an incoming call from someone. Then, after the first step is done, the Google assistant will inform to the caller. It happens when you use a screening service. After that, you will receive a copy of the screening conversation. The next step is that the caller is suggested to state the name and nature of the call. After stating the name and nature of the call, you will find the caller’s voice response that is transcribed. Finally, you can select some options like receive, report the call, or hang up. In fact, there are three important matters about call screen. Let’s check them out! You will find the option in the dialer. It means that if you do not want to use it, you can ignore it. It is your choice. The second matter is that you are allowed to change the voice. You can do it by tapping the three vertical dots which are on the top right of the phone application. Then, choose the Settings to go to Call Screen. And you will find the icon of Voice so that you can see the voice option. 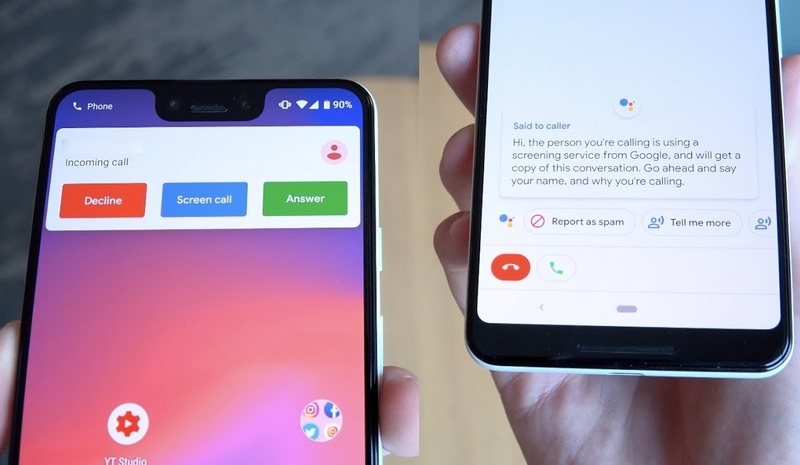 You need to know that the Google assistant will help with the call screen. However, it will not save the call audio to the account of Google. Yea, that’s all about the ways of how to use Google Pixel 3 call screen. Besides, you will also get a review of some essential matters about the call screen. So, just apply it!